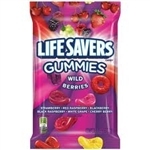 Life Savers Gummies Wild Berries 7oz 198g American Candy Lifesavers. 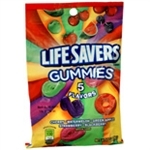 Life Savers Wild Berries Gummies give you a mouthful of fun and fruity, delicious flavor! They're the distinctive candy with the hole in the middle just like Life Savers ,but even more fun to play with.